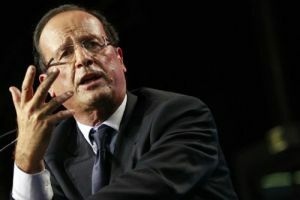 According to Reuters, Francois Hollande told a business conference in Tokyo this weekend that the European Union should negotiate with China to settle the row over solar subsidies, rather than impose duties on imports from China. The EU last week imposed new 11.8 per cent duties on imports of solar cells, wafers and panels from China that are sold below cost price in the bloc – a practice known as dumping. The Commission is also continuing an anti-dumping investigation that could yet result in higher tariffs being introduced later this year, in response to concerns that Chinese solar manufacturers are able to undercut domestic producers. A number of EU leaders have campaigned against the tariffs, including UK climate change Minister Greg Barker and Anna-Karin Hatt, Swedish minister for information technology and energy. German Chancellor Angela Merkel has also pledged to work for a negotiated settlement. But in response to the new levies imposed last week, Chinese officials confirmed they would retaliate by launching a similar probe into the EU's wine industry, which is supported by the controversial Common Agricultural Policy. The move has clearly hit a nerve with Europe’s top wine producer, with Hollande also now calling for a negotiated deal with China. There are also concerns that the trade war could spread to the automobile sector, with industry raising fears that Beijing may look into a complaint about luxury cars imported from the EU. The European Commission has confirmed its intention to impose duties on imports of Chinese solar panels from 6 June, triggering an immediate response from China, which announced the launch of an anti-dumping and anti-subsidy probe into European wine. EU solar panels producers say Chinese companies have captured more than 80% of the European market from almost zero a few years ago, exporting €21 billion to the European Union in 2011. But while some European and US manufacturers would welcome EU action, installers and prospective purchasers of solar technology are concerned that such a move will drive up the cost of solar panels, leading to a slowdown in the deployment of the technology and job losses across the industry. What about selling far more Renaults and PSA’s to everywhere over the World apart of china ! Hollande kicked this all off as it was mainly France that pushed for the tariff in the first place. Not surprising Hollande’s popularity has plummeted to a historic low, he doesn’t know whether he’s coming or going. The idiocracy to kick off a trade war by the Union of Subsidized Farmers brings nothing, excpt further loss of creditability of the bureaucrats in Brussels. Do’nt Forget the olive oil proposals.